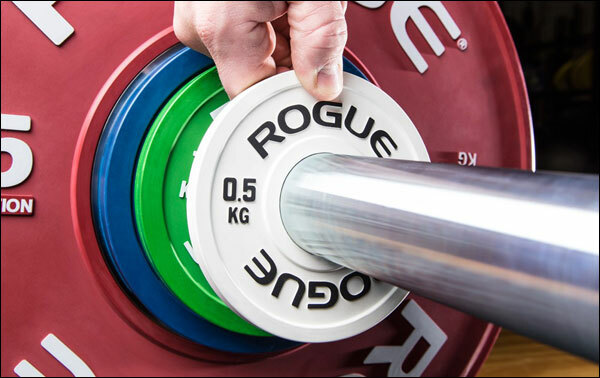 I was seeing some chatter about Rogue adding some competition-style, kilogram change plates going back a couple months and it looks like they are finally available for sale. How exciting! 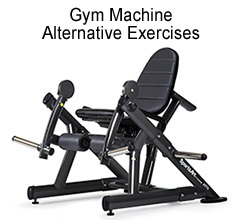 Rogue Fitness has already done a superb job in offering affordable, professional Olympic WL equipment. 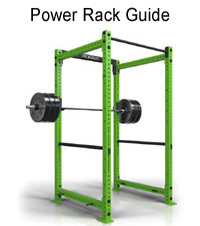 They sell competition/training bumper plates, high-end Olympic WL bearing bars and affordable training bars, technique plates, and even lifting platforms, but they have been missing change plates and 2.5 kg pro collars. 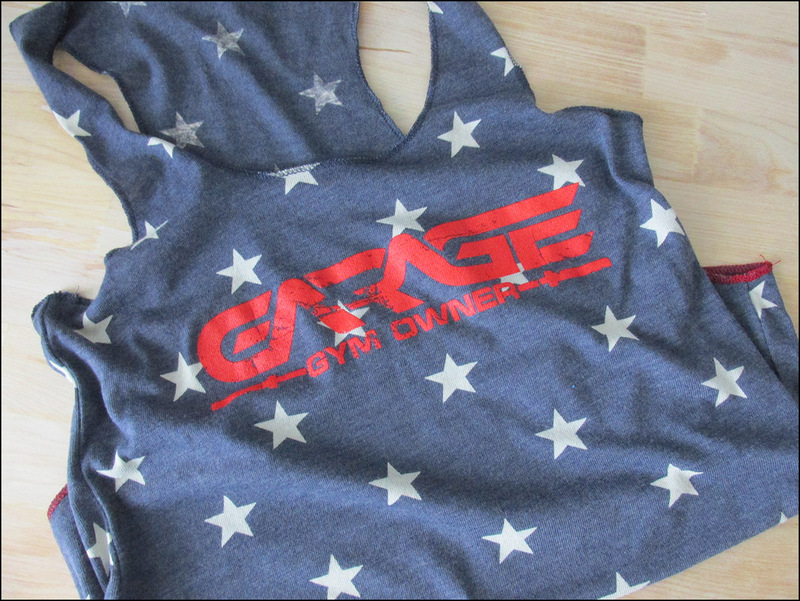 With one of the last pieces of the puzzle now available, is it true that Rogue also plans to seek IWF-certification? 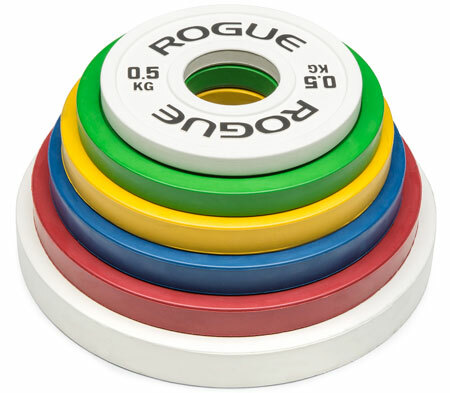 Rogue’s new KG Change Plates follow the standard IWF color theme and 50.4 mm insert opening, and they are available in six increments from 0.5 kg to 5 kg. 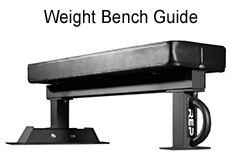 They also feature a rubber coating to help them look nice for longer, and stay on the bar when used outside of collars. Shipping is free if you buy a set, otherwise you pay the shipping on pairs. 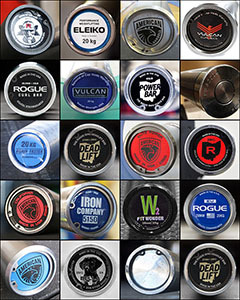 I don’t normally do product announcements, but I know these have been much anticipated by many lifters who don’t want to pay $300-500 for IWF-branded change plates for just their garage gym, and who can blame them! Rogue says the color is matte, but they look pretty sharp in the pictures. Update 2017: Rogue also added two pairs of fractional plates to complete this kilo set. 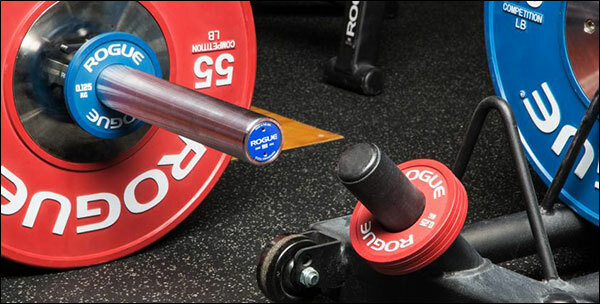 The Rogue KG Fractional Plates are offered in 0.125 kg and 0.25 kg and sell for $33 for the set. 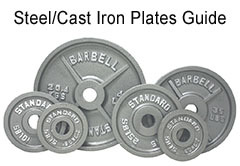 As one who follows a percentage based program (GZCL – in case you’re wondering), I not only purchased these fractional plates to finish off my set, but I’m actually ecstatic to have them. 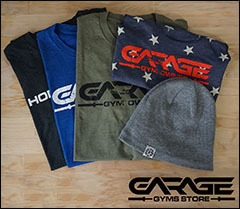 Great stuff from Rogue!